Can I still come if I have a tan? Yes, if it is your natural tan, i.e. not fake. Your colouring is determined by your genetics and therefore your particular tan is related to your colouring. Do you have to be a certain age? We are able to do colour analysis on any age. The colour analysis class is for people aged approx. 16 and over. If you or your children are under 16 we tend to suggest 'kid's colour'. Please ask your stylist for more information. Could I change seasons as I get older? Your seasonal colouring is dependent upon your genetics. With the system we use at House of Colour, we are confident in our ability to get you to the right season first time. As you get older, you might choose to return for a refresh or colour re-rate to find out how your best colours are shifting within your seasonal spectrum. Do I change seasons if I have a tan? Unless your tan is fake, you won't change seasons; rather, your best colours within your season may shift. You may have noticed that when you have a tan, you are able to wear more colours (e.g. paler/lighter or stronger/brighter than you might normally choose). What happens if I have a tan? The process we take you through for analysing your seasonal colours is exactly the same. The colour of your recommended foundation is likely to be different, so speak to your stylist about returning at a later date to identify your foundation colour when your tan has faded. If my hair colour changes, does my colour spectrum (season) change? Your seasonal colouring is determined by your genetics and is based primarily on your skin tone. We are able to carry out an accurate colour analysis whatever your current hair colour and make recommendations for selecting a colour which will complement your colouring, should you wish to dye your hair. Could I turn out to be two seasons? No. The system our stylists are trained in ensures that we are able to clearly identify your colouring in one season. Some peoples colouring lies near the cusp of two seasons. In order for you to be able to clearly understand your colours and how to use them effectively, it is important that you understand your one season. If I'm overweight can I still do this? Yes! Your weight has no bearing on your colouring and wearing your best colours makes you look slimmer and healthier! Can I wear black on the bottom half even though it's not my season? Black is best on those with Winter colouring. On other seasons it is draining so while it will be less draining below your waist than next to your face, when you are able to replace it with a dark neutral (e.g. navy, brown or grey) from your season the complementary difference will make you look and feel so much better. 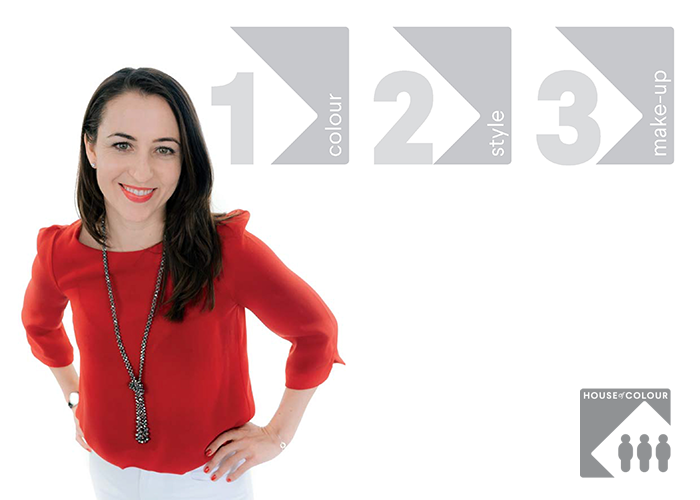 In your colour class, we show you what works best. Ultimately, you can wear what you like, but why would you want to wear something that doesn't make you look amazing? Can you do Asian/African skins? Of course! The colour analysis your House of Colour stylist is trained in is a robust and accurate process. It works on all skin colours and types from the palest through to the darkest. Do you advise on hair colours/styles? After identifying your seasonal colouring, your stylist will be able to give you general advice on hair colours for you to discuss in more detail with your hair dresser. Hair styles are more dependent upon your face shape and personality, thus this will come in your personal style class. Do I really need lipstick? Lipstick is the one essential piece of make up which serves to enhance your features and brighten the look in your eyes. Most people are not confident in choosing the colours which suit them best. In your colour analysis class, your best colours are identified in consultation with you so that you are confident in wearing it. How long will it last? Depending on the number in the class, it will take between ½-¾ of a day and includes appropriate refreshments. This includes all the background information to explain how and why the House of Colour, colour analysis system works and your own individual analysis. Can I come for part of the day? The class is a comprehensively designed program to lead you through the process in a logical order and ensure that you understand the information as comprehensively as possible. If you are unable to stay for the whole day, ask your stylist for other available dates to book to make sure you get full value from your investment. Can I bring a friend? You can! We encourage people to book with their friends or family members they are most likely to shop with or ask advice on clothes – in this way you both get value from your investment by understanding yours and your companions information. If your companion is already a House of Colour client, they are welcome to join you for the colour class with a nominal contribution for refreshments. What do I have to wear? Something which is comfortable and appropriate to the seasonal weather. In winter we request that you don't wear polo necks or high collars because of the way we use the drapes. Do I get lunch? If your class continues over lunch time, lunch will be provided. Please let your stylist know of any particular dietary requirements you may have. Will I be on my own? Classes are open, thus you will meet other people such as yourself who have booked onto the same class. A class will have a maximum of 6 people. What do I get to take away with me on the day? Your class fee includes your leather bound colour wallet containing the colour swatches of your season and a note book which provides information about your colours, how to wear them for greatest effect and the details of your personalised colour rating which clearly identifies your best colours within your season and explains how to use them for greatest impact. Your stylist will have identified your key, essential make up colours to suit you. These are available for you to purchase from your stylist at the end of your class. Do I need to bring anything with me? All materials are provided for you on the class. You may find it useful to bring your make up essentials so that you can check whether they are the right colour for your skin tone after your colour analysis is completed. Bring your purse with some means of paying for products so that you are able to purchase them at the end of the class if you wish to. How do I pay? Please contact your consultant to find out what methods of payment they accept. What happens if I book then can't come? Bookings are taken in good faith and payment is required in full on booking to secure and reserve your place. Cancellations need to be made with your stylist 1 month prior to the class for a full refund. You are welcome to replace yourself on the class to avoid losing your consultation fee. Can you come to me? Due to the materials and tools we use in a consultation, classes are offered in our stylist's studios. For corporate or group events, please contact your local stylist. Why do you only hold classes in groups, not one to one? Value from your class comes from your knowing what your results are, i.e. what your colours are and how to use them. Additional value is gained from the learning experience of the group dynamic, it is often easier to look more objectively at someone else than ourselves and thus understand how and why the system works. Some people prefer the focused attention of a 1:1 learning experience in which case the Fast Track Style is for you. By offering you a class experience we are able to offer you increased value by reducing the cost of the service to you. You get 4-6 hours with a professional colour analysis expert in a small group. Should I wear make up? In order to perform an accurate colour analysis, your stylist needs to work with your natural skin. All make up needs to be removed thus we ask you to arrive without any on to speed up the process. Can we get a group discount? The price per person is already discounted because it is a class rate rather than 1:1. Is this only for business men/women? This is an open class for anyone who wants to find out what colours suit them, how to create a look that makes them look good and feel comfortable in their clothes. The benefits of looking good are equally applicable to your personal time as your work life. Imagine unlcoking the potential of your confidence in aevery area of your life! Why should I bother at my age? The natural glow of youth can be more forgiving with colours so it can appear that we are able to wear a wider range of colours more easily, as we get older and our skin and hair tone merges together, it is less forgiving and we often migrate to a few safe colours, or go in the other direction and encompass the full rainbow. Regardless of your age, your best colours will show you in your healthiest light. Glowing and radiant, making you look younger, slimmer and fitter, more professional, confident, friendly and approachable; these benefits are not exclusive to the young! In fact they are essential to stop yourself becoming invisible as your age increases. Students need to make best use of their (often) limited financial resources. Busy working women and mothers need to be able to make best use of their often limited time resources. Mature and retired women/men come in many shapes, sizes and varied financial and resources, anything to make life easier, simpler or more enjoyable has to be a bonus regardless of your age. Mother's often take advantage of the kid's colour to make best use of the clothes for their children. What happens when I go grey? Your skin and hair tones tend to merge closer together with the passage of time, so while your seasonal colouring will stay the same (it is based on your genetic make up) your best colours within that season are likely to shift in a similar way as you may have noticed with acquiring or losing a tan. For example, someone who wears black in their 20's with lighter accessories may shift to wearing grey in their 60's with black accessories. Will the whole family be the same season? Not necessarily. Your colouring is inherited from previous generations thus there are some families who are all the same and others, who are all different. Will my colours always stay the same? Your seasonal colour analysis should stay the same, since your genetic composition doesn't change. However, occasionally we have found clients who have been on major medication (e.g. liver or heart) which has affected their skin tone. This is not a problem when you are working with a House of Colour stylist. How do I keep my look current? (Hairstyles etc.) Hairstyles, glasses and accessories are often the elements of your look which change the most with fashion. Visit your stylist for your fashion update to find out what this seasons' tweaks to your classic wardrobe items are. Is make up really necessary? Make up, chosen to suit your colouring and applied well, will help accentuate and define your face clearly and naturally. Foundation evens out the skin tone thus reducing the appearance of redness, shadows and fine lines. Blusher naturally enhances your cheek bones when applied subtly. Eye make up helps create definition to your eyes enabling them to appear larger and clearer. While lipstick enhances your eyes and facial features as well as being the critical finishing touch. Well applied make up adds communication and is therefore essential in a professional environment. Why do I need to wear make up? You don't! However, wearing the right coloured make up for you and knowing how to apply it easily and effectively will help you to naturally enhance your looks so that people see you, not your clothes and they see you in your best light rather than you becoming invisible. It's a bit like a picture frame – your clothes and hair form the frame, your face is the picture which people look at first, thus you need to finish off the picture for people to create the best looking result and help people to see you. When you catch a glimpse of yourself looking good, you immediately feel better about yourself, the same happens when people give you compliments. I never wear make up… Some people choose not to on a daily basis and while we know it enhances your natural looks, helping to give a natural, healthy glow, it doesn't suit some people's lifestyles. For those occasions where you might choose to dress up and wear make up, it is critical to your self confidence that you know you are wearing the right colours and applying it correctly. Ask your stylist about the 90 second make up!